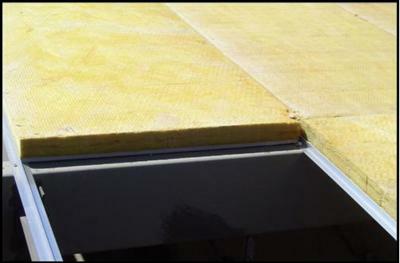 Rigid faced glass wool board for wall and roof insulation in metal buildings. 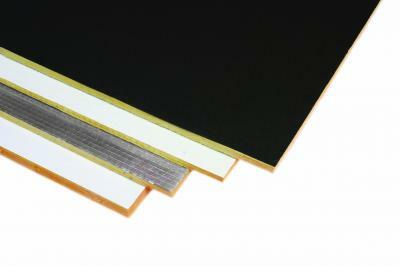 Factoryboard is a rigid board manufactured from non-combustible glass wool insulation. 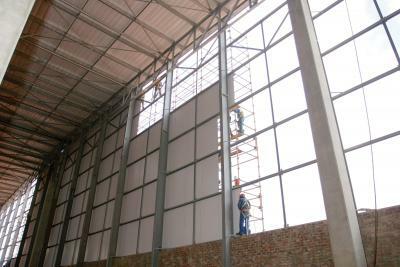 Ideally used as multi-purpose wall cladding or over purlin roof insulation. Available in 25, 40 or 50 mm thickness. It can be supplied with an ASTM E-84 tested reinforced foil, white metalised foil, white emboseed vinyl or black non-woven glass tissue.